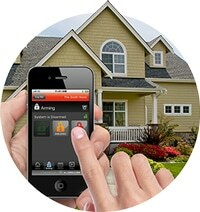 Wireless Security Systems in Doctor Phillips & Windermere: Home and Family Vulnerable! Obviously, one of the best things about wireless security systems in Doctor Phillips is that they don’t have any wires. What makes them even more appealing to homeowners is they can be installed anywhere, so they can protect their property without any restrictions. If you are interested in wireless security systems in Doctor Phillips & Windermere, here are some advantages to consider when making your decision. 1. It keeps your home and family more secure. These systems utilize a secure connection that is fast and reliable, and it enables real-time awareness and alerts from your home. This helps combat many of the vulnerabilities you’ll find with other types of systems. For example, there is no exposed phone or cable line that can be cut from the outside of the house to render it useless. Traditional wired home security systems are also vulnerable when your power, phone or internet service goes out. Wireless security systems in Doctor Phillips utilize a secure, dedicated connection and battery-powered backup so that an alarm will always be signaled in an emergency. 2. They’re easier to install. In other words, it’s easy for us to replace an existing system or add a new one. Often times we can use the existing sensors from an old system, meaning there’s no need to tie yourself to the out-of-date system that came with your house. If you do need new sensors, however, we won’t need to run wires through your home. 4. It’s easy to expand your system. As you and your family grow and change, your needs change too. Wireless technology is portable, flexible, and adapts to change. For instance, with a child on the way, you might want to add a camera to your nursery. If you’re traveling and need to hire a pet-sitter, it’s easy to add a smart lock to let them come and go. No matter what you may need to add in the future, you can be confident now that your security system will expand when the time comes. Ever wonder what’s going on at your home when you’re away? Wonder no more! Call our office today to schedule a consultation and we’ll be happy to share how wireless security systems in Doctor Phillips & Windermere can provide the proper protection for your home and your family.